Join us at Vogrie on Saturday 27th April for a fun-filled Saturday’s orienteering. 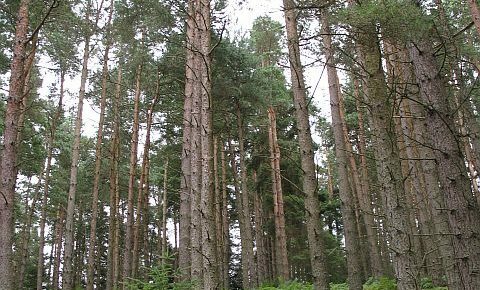 Vogrie Country Park is a woodland estate managed by Midlothian Council. The Tyne Water runs through the park in a steep sided valley which can provide a physical challenge. Vogrie also hosts a Saturday parkrun and has a popular playground but its varied terrain and 12 mile path network make this a popular venue for orienteering, particularly for those new to the sport. For the more experienced there are plenty of ways to navigate between controls both on paths and off them! This is our first event in the summer 2019 SprintELOpe series taking place on Wednesday evenings. These are lightweight informal events featuring Urban style races around the streets of towns in East Lothian. Today’s courses cover the north of Dunbar including the old town centre. The event base is at Winterfield Park. Many thanks to everyone who made it out to Binning Wood on Saturday afternoon – the rain in the late morning didn’t deter many people and rightly so as the clouds dispersed at lunchtime and the afternoon was spent in the sunshine. It was encouraging to see a lots of new folks out, particularly families discovering that orienteering is a great sport for everyone in the family. We hope to see you again at our next event. The clearings in Binning are notoriously tricky to negotiate cleanly and definitely reward those who routinely check which path to take using their compass. Hopefully most of you managed to stay out of the worst of the rhododendrons and brashings (it certainly appeared that way from the feedback afterwards) and enjoyed the nice parts of the woods and there are plenty of those. It’s always nice to see results where there are no mis-punches but we do agree that there was something not-quite-right with the features and distances around control 110 which was on the orange and the light green courses and held some of you up. Thanks also to all the volunteers – without you, we wouldn’t be able to hold fantastic events like this each month! Well done to all of the ELO team who made the long trek to Dunrod Hill’s slushy moorland west of Glasgow for the Scottish heat of the Compass Sport Trophy. Despite valuable individual contributions across the team we were rather depleted this year and finished in 9th place of the eleven ‘small’ clubs attending. Our February event was in John Muir Country Park (JMCP) near Dunbar. Despite rival events on Deeside we had another strong attendance with many families as well as a sprinkling of more experienced orienteers. The club tent didn’t (quite) blow away and everyone came back safe and sound and looking cheerful. Matt, Ian and Trina who collected controls as well as other roles. What is the Scottish 6 Days? The Scottish 6 Days is a week-long festival of orienteering – it’s also the largest orienteering event in the UK. There are thousands of orienteers running around the forest every day and so there’s a great atmosphere, especially around the finish where all the clubs pitch a tent so they can socialise together, compare maps, talk about routes and commiserate about the mistakes they’ve made! It is held every two years and is in a different part of Scotland each time. 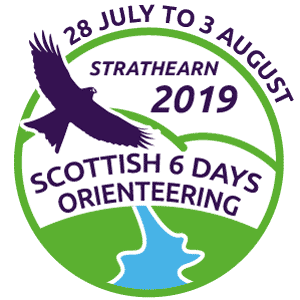 This year it’s taking place in Strathearn which is close enough to allow some day trips if you can’t manage to go for the full week. This is a good time to join ELO or to renew your membership for 2019. Simple results and split times. Routegadget are other ways of looking back at the event and of letting others know where you went. 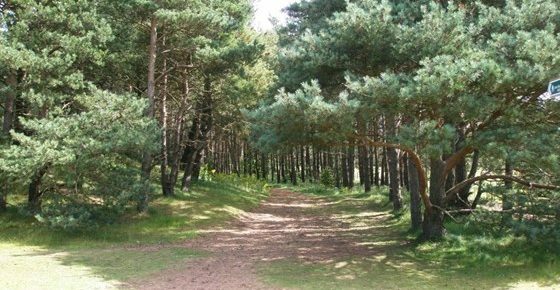 Winton Estate was a new area for orienteering in East Lothian which attracted lots of experienced orienteers and local families. Thank you to Sir Francis Ogilvy for permission to map and run on this part of Winton Estate, and to Janis Ward, event co-ordinator for her help with the arrangements. £75 was collected for car parking which will be given to the estate as they do a lot not only to permit public access but do work in landscaping and improving and signing footpaths and walks. Contact me if you think there is anything not right robinstrain at gmail dot com. “Everyone is a winner!” they say. Although it took longer to work out the results than we had hoped, we were able to present some prizes to people who were still around on Saturday. We were a bit vague about the rules, as we weren’t sure how it was going to work out until you had started finishing. We have produced a second set of results (V2) in which a penalty was calculated for those who spent more than 10 minutes working out the puzzle and this did change the leaders in various categories. There was some significant variation in the two lists, in particular:. Below you can see both sets of prizewinners. We could justify both being “the official list” so we have tried, or will try, to distribute the (small) edible prizes to all named. plus some evening park events in liaison with cub / brownie / scout / guide groups. Please let us know if you can help as Planner or Organiser for any of these events. Don’t worry if you haven’t planned before because you will work with an experienced mentor offering advice and guidance. Congratulations to Robin and Sheila Strain who each won their categories at the Scottish Score Orienteering Championships held at Elibank on Sunday, 25th November. Robin won by a convincing 30 point margin and Sheila beat her rivals by a huge 80 points. In Score orienteering there is no set route but the aim is to visit as many controls as possible within the time limit. The point values of controls vary according to how hard they are to reach or to locate. Our November local event was in Saltoun Woods.